Courtesy of Ed Grant, California. 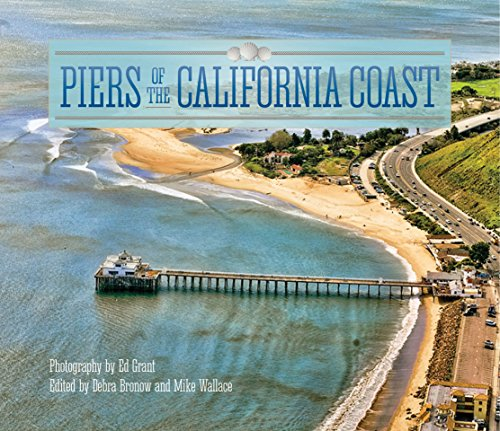 The book by Ed Grant, called Piers Of The California Coast, shares the collective experiences of Scott Zornig and a crew of around-the-pier ocean swimmers during their unprecedented 2013 Fear No Pier challenge. The group collectively and cumulatively swam around 73 different piers along the California coast, driving and eating between each swim from San Diego to Santa Barbara and beyond. But there are still up to 80 piers in San Francisco Bay that Zornig and crew did not tackle back in 2013. Along with Julie Flanagan, Lynn Kubasek, Julian Rusinek, Ray Meltvedt, Cherie Edborg, Theo Schmeeckle, Tim McFadden, Carol Hayden, Peter Hayden, Lisa Nordholm, Patsee Ober, Natalie Merrow, and Tanya MacLean, Zornig and crew may go back someday to complete their unfinished business. To purchase the book, visit here.